ValueBar is an intuitive Microsoft Windows based stock tracking and warehouse management solution created for managing stock in a single or multi warehousing environment. 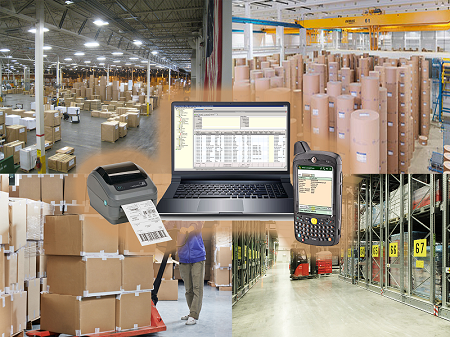 The product utilises barcoding and wireless technology to simplify the task of locating, moving and counting stock. ValueBar operates as a standalone solution, but may also be optionally integrated with third party ERP solutions such as Sage, SYSPRO or Pastel and various other enterprise resource planning packages. 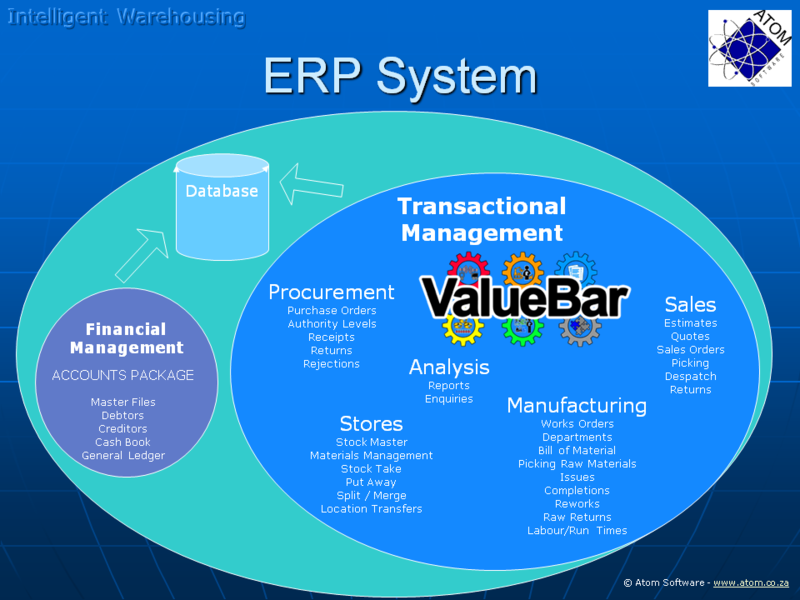 All master data may be managed in the ERP system and is read by ValueBar. All shopfloor transactions, i.e. movements, are captured within ValueBar and reflect within the ERP system. ValueBar extends the standard functionality further than just regular serialisation to provide full serialised tracking of either an item or a group of items through the serial number, throughout the enterprise. ValueBar was developed in order to cater for organisations that manage/utilise physical stock in warehousing or manufacturing. A further requirement for the package was for direct integration with existing ERP packages such as Sage, SYSPRO or Pastel. ValueBar provides for seamless integration with third party applications using a single master data model view. All transactions and data processed within the third party ERP system are immediately visible to ValueBar and vice versa. Whilst all the major databases are supported, experience has shown that the IBM databases provide the best performance and require the least maintenance.